Behold, the CAMP G Comp Racing. Breathability and dexterity were prioritized when designing this glove, but not at the expense of real-world features. The upper is made of a breathable elasticized micro-fiber whereas a durable anti-slip treated synthetic leather makes up the palm. These two halves are joined by an exterior-seam, box construction to further enhance dexterity and comfort. 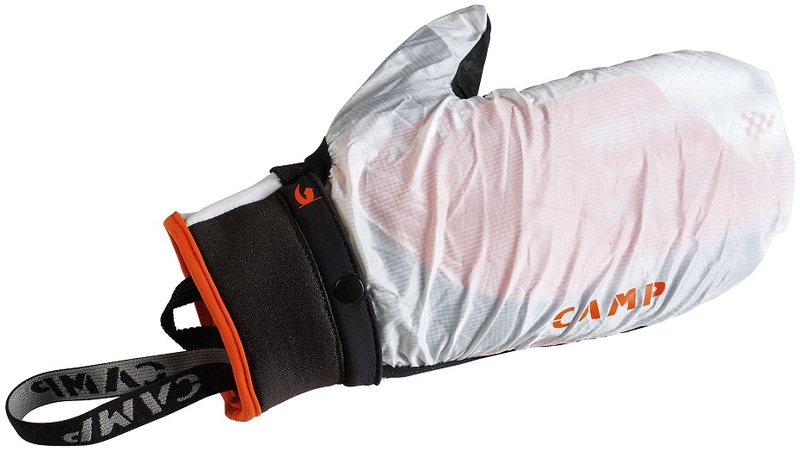 Hidden within the wrist is CAMP's famous Windmit'N, a deployable over-mitt that adds weather-resistance and warmth. The thumbs are equipped with a terry cloth used for several things, most importantly as a designated nose-wiping zone. 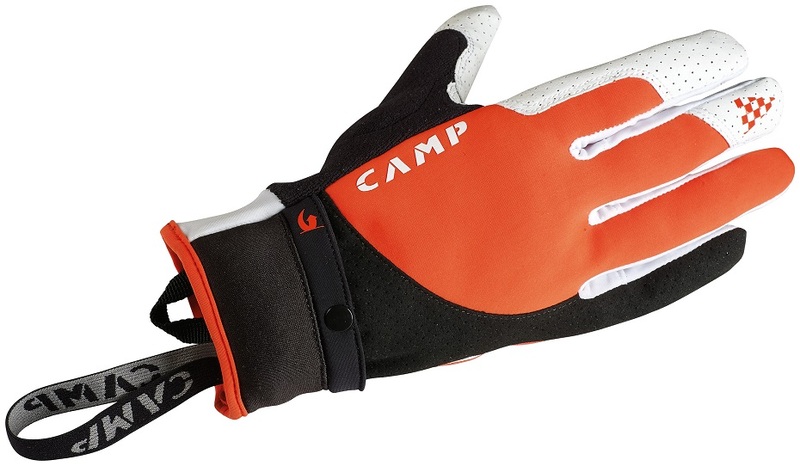 The CAMP G Comp Racing glove raises the bar for skimo-specific hand-protection. Windmit'N hidden in the wrist, pull out on those windy ridges or long downhills. Synthetic leather palm with anti-slip treatment grips your ski poles with aplomb. Elastic leashes keep the gloves nearby when you rip them off in a fit. 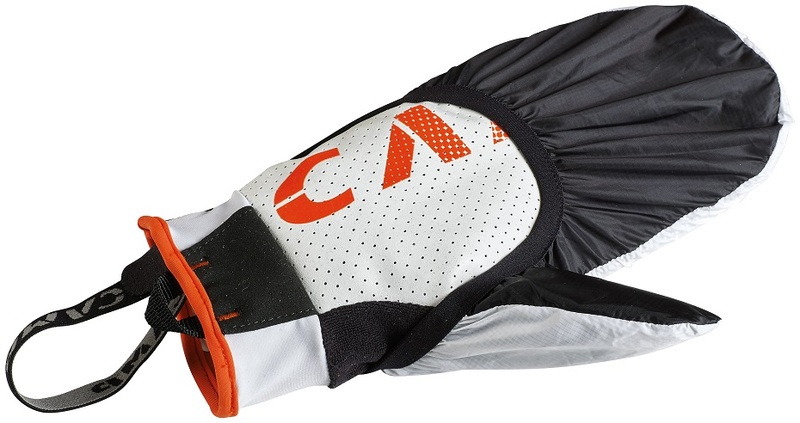 Grip'R pads further facilitate skimo-specific hand-maneuvers.